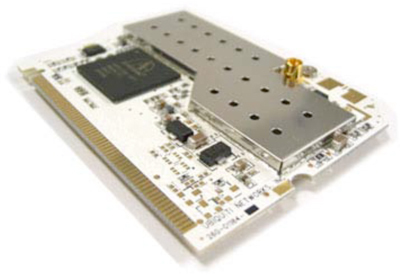 The world's first hi-performance 5GHz 802.11a mini-PCI module. Utilizing SuperRange technology, the SR5 exhibits improved output power and sensitivity over standard wireless cards. The SR5 is ideal for long distance bridging, hi-performance point-to-multipoint links, and mesh networking. Atheros, 4th Generation, AR5213 chipset.